Lead & Nickel Free!! This Beautiful Semiprecious Earring Assortment Includes Three Different Colors. 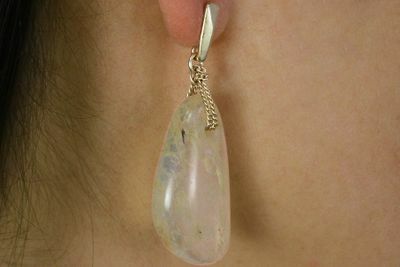 The Rose Quartz And Jade Semiprecious Stones Both Hang From A Matte Silver Chain Connected To A Matte Silver Earring Post. The Gold Quartz Is Suspended From A Matte Gold Tone Chain Connected To A Matte Gold Tone Earring Post.